This post contains affiliate links. Read my policy here. Childcare was a huge afterthought for me during most of my pregnancy. I never imagined what an impact the cost of daycare would have on our budget until I started looking into daycares halfway through my second trimester. 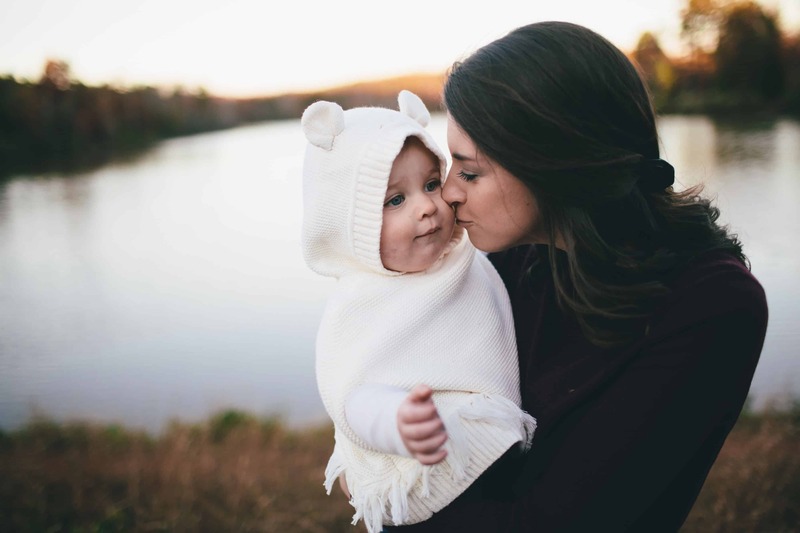 It turns out my cluelessness wasn’t an anomaly– a recent study indicates that nearly half of all soon-to-be-parents think diapers are one of the largest expenses you can expect during your baby’s first year. Unfortunately, I now know when compared to the cost of full-time childcare, diapers pail in comparison to the costs of daycare. According to the Economic Policy Institute, the average cost of daycare ranges between $4,000 to 22,600 a year, and that of course depends on your child’s age and cost of living in different areas. Now, of course, that stat isn’t too helpful because there’s a huge difference between $4,000 and $22,600 per year. I did some more digging and found this study published by Business Broker Network, which breaks down the average per-month cost of daycare, state-by-state. Based on the data, residents in Washington D.C. will pay the highest amount per month, at a whopping $2,982. Residents in Mississippi can expect to spend the least amount, coming it at only $665 per month. The data in the map provided by Business Broker Network was compiled by a survey of national daycare centers and averaged state-by-state. To get the most accurate cost estimate of just how much you’ll be paying for, your best bet is to identify three to five daycare centers close to work or home and find out how much you’ll be paying each month for full-time care. Just to give you an idea, the average in my state of North Carolina is exactly what we were quoted, give or take $50 per month at our first choice daycare. Keep in mind, you’ll pay more for centers with low baby-to-teacher ratio, education level of the staff/teachers, amenities of the facility, curriculum and location. A dependent care FSA account allows you to use pre-tax money to pay for eligible child care services. By taking advantage of a Dependent Care FSA account you can expect to save, on average, 30% on childcare– which really adds up! You also decrease your tax burden as funds are automatically taken out of your paycheck and redirected into your FSA account. Make sure you keep your receipts if you choose to take advantage of the FSA, and be aware that the maximum amount you can contribute if you’re married, filing jointly is $5,000, and while that likely won’t cover the cost of full-time care over the course of the year, it does help you save a pretty nice chunk, so don’t forget to take advantage of this nice little benefit. Nowadays, thanks to technology, most of us can work from anywhere. If you’ve proven yourself as a dedicated employee and your employer is open to a work from home schedule, why not save on childcare by working from home some or all of the time? Thinking outside the box when it comes to childcare can often save you tons, and it’s the option that allows both me and my husband the ability to work while not spending a fortune on daycare. Ask for the ability to work from home at least one day per week. Or, see if you and your spouse can shift work around so that you’re only paying for care a few days a week. Look for half-day childcare options and pair that with a reduced work schedule and/or help from family. Daycares that operate on a half-day schedule are significantly less than full-time care options. You might also consider part-time or freelance work as a way to reduce child-care costs to virtually nothing. If you’re barely covering your child care expenses with your salary, why not looking into doing something different? Consider freelance or part-time work to make some extra cash. Many moms do well with work from home jobs, too. Often times, the most affordable daycares fill up the quickest. To avoid paying top dollar at the only daycare that has availability when you’ll need it, consider putting your name on the list early. Most daycares in my area had a $75-$100 waitlist/registration fee, and in just doing some research, this seems to be the case at most places. In areas where daycares are scarce you might even consider identifying one or two choice daycares and putting your name on the list as soon as you become pregnant. I’ve even heard of moms who placed their name on the list before they became pregnant! In this case, planning ahead certainly won’t hurt. If you have work-related expenses you can qualify for a tax credit on eligible child-care related expenses. This credit is available regardless of your income. The maximum amount you can cover is $3,000 for one child and $6,000 for two, but there is a limit to how much you can claim based on your income, ranging from 35% to 20%– the more you make, the less of a credit you’ll be eligible for. For more info, here’s a helpful article. With a little work, and referrals from friends and co-workers you might get lucky enough to come across a great in-home daycare. Many working parents like both the comfort of the in-home daycare and the significant price break it affords. In-home daycares typically serve a small number of families and often won’t close for smaller holidays, so you won’t be scrambling for back-up care too often. One small caveot with in-home care settings: If you want to claim your childcare-related expenses on your taxes, you’ll need to make sure the in-home care center is licensed by the state, as license requirements of in-home care providers does vary state-by-state. Most lists on how to save money on daycare suggest a Nanny Share. And thanks to the suggestion, I was happy to look into this possibility when searching for ways to save money on childcare. On average, a true nanny commands anywhere from $15-$20 per hour depending on her experience. Many parents incorrectly assume that a nanny share will save them a ton by simply splitting the nanny’s per hour rate with another family, while failing to consider the fact that they’re asking the nanny to look after multiple children. This was unfortunately my assumption, too, before I talked with several nannies. It turns out, according to the nannies I interviewed, rarely does a nanny share work to save you any money on childcare. The cost of childcare is expensive, but with a little creative thinking, you likely won’t have to devote such a huge chunk of your paycheck towards it.